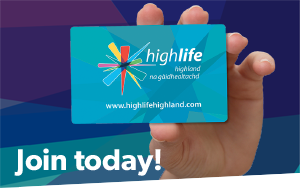 Did you know the High Life Highland has an Adult Learning team that can help if you want to improve and feel more confident about your reading, writing, spelling and number work? You can even work towards a qualification if you want. People can choose different ways to learn. Some work one-to-one with a tutor, others like to join groups. The groups are small and friendly. You decide what you want to learn and which skills you want to brush up. Classes for people whose first language is not English, ESOL (Beginners/Intermediate) continue to be run Thursdays 6:00 – 8:00 in Fort William Library. We are also always looking for volunteers wishing to support other adults with their learning. Join us tomorrow for a Bookbug session, 11:30am at Hilton Community Centre. Bring your lunch or grab something from the cafe and stay for Lunch Club at 12:30pm, with some family learning fun. This week's theme is numbers. See our letters from last week below. Thank you to Gordon for coming and introducing us to Inverness Botanic Gardens last week. We hope to visit you on site to learn more soon! Join our new Bookbug session tomorrow at 11:30am in Hilton Community Centre. We are on during the holidays and look forward to seeing you. A great big thanks and congratualtions to Robert for all of his great encouragement and support of our Digital Skills learners. Enjoy your hoodie award for your 25 hours of service with High Life Highland Leadership Programme. Our, Time Out for Parents: the Early Years, course finished at Hilton Community Centre this week. A great big thanks to the parents who attended, the helpers and Direct Childcare for the creche which enabled parents to attend. We are looking forward to more Family Learning in the area with Bookbug and Family Lunch Club starting on Tuesdays in April.